Last week in an HCS forum post, I mentioned that we had received reports of Oddball and CTF Refuge matches taking far too long and ending based on time rather than score more often. We didn’t want to be reactive because the settings had just come out so we’ve been monitoring feedback and data. While we didn’t want to be reactive, we also didn’t want to wait too long and knew we had to make some decisions before the big event in New Orleans. 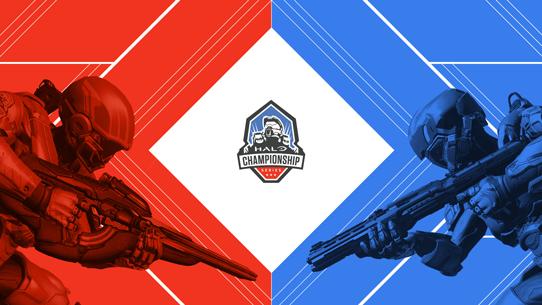 We’ve been reviewing data based on Champion rank play in matchmaking along with scrim and 2k data as well thanks to Halo Data Hive collecting all of the official series. To talk about the results of our data crunching, I’m going to pass it over to Josh Menke. Thanks, Tashi. 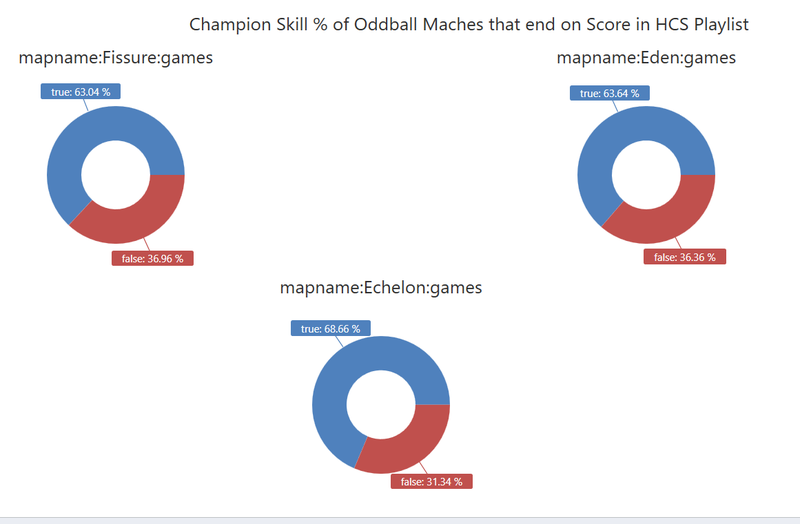 To start, we set out to determine if Oddball matches and CTF Refuge matches were indeed taking much longer to complete than the other existing gametypes. Here’s a graph to show how long each game takes to complete (either by score or just hitting the time limit). 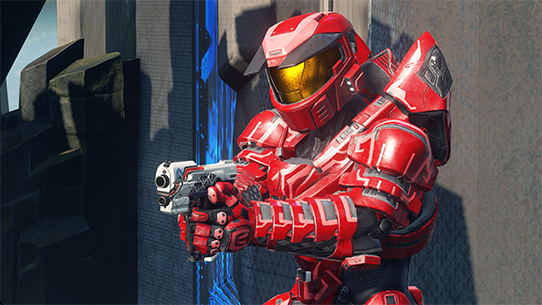 Note: HCS playlist is now Team Arena. As you can see, almost everything is around 7 minutes long on average, but Oddball averages around 10 minutes, and CTF Refuge takes nearly 11 minutes on average. I’ve also included CTF Fathom and you can see that even though matches there took longer than the others, it’s still nowhere near CTF Refuge. We also did a quick check on the small amount of scrims and 2k matches to make sure they weren’t far off from what we were seeing in MM. We don’t have as much data there, but what we do have was still in line with what we saw in MM. You’ll see that CTF on Coliseum and Truth end with a team scoring all three flags about 94-95% of the time. CTF on Fathom, a gametype renown for ending in ties and hitting the time limit, was ending based on score almost 80% of the time. CTF Refuge is performing way worse in this category as it’s nearly a 50/50 split. On Fissure, 63% of games end with a team reaching 200 points. On Echelon, 68% of games do. On Eden, it’s about 63% of the games. 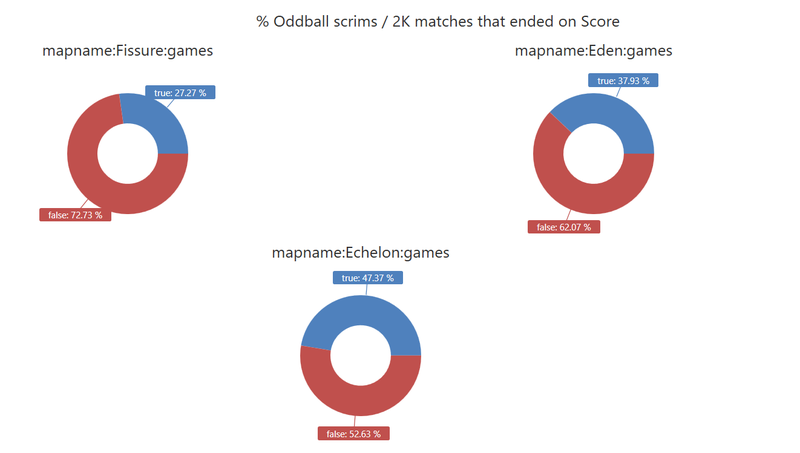 Like with CTF Refuge, we also did a quick check to see how that set of data compared to scrim/2k matches. The issue is far more prevalent in these matches. While sometimes it’s epic when matches go the distance, it’s a drag and poor experience when it happens too often or is even happening most of the time. Thanks, Josh. So, what are we doing to address this? For Oddball, we’re going to lower the score limit to 150 points from 200. Based on our projections, this should bring the match length and completion rates more closely inline with the other gametypes. CTF Refuge is a bit tricker. We’re going to start by increasing the reset time on flags from 12 seconds to 15 seconds. We hope to see more successful flag pulls out of this, and will be monitoring data closely. We'll also be monioring feedback online so be sure to let us know how it's playing on Twitter. Monday, July 2: Live now! Team Arena playlist has been updated with the new Oddball with 150 points to win, and CTF Refuge featuring a 15 second reset timer. 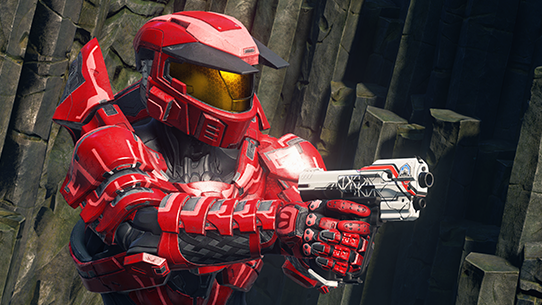 Official HCS fileshare and custom game listing are updated as well. We’re confident that these changes will have positive impacts, but Friday will be the last day that things will be changed (or not changed) based on the results. Nothing will be open to change beyond Friday, July 6, until after HCS New Orleans (if necessary). Thank you to everyone for the reports, and we’ll be keeping a close eye on how things play out. If you’ve got any questions, be sure to reach out to Josh Menke and myself on Twitter!